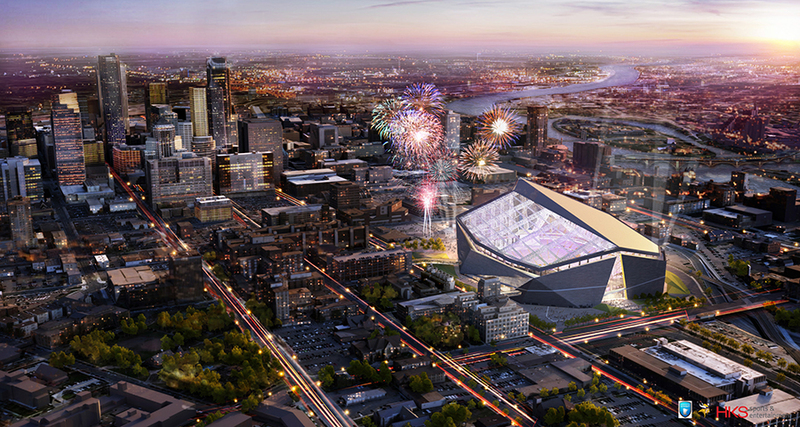 The Minnesota Vikings have unveiled design plans for a 65,000-seat stadium with a closed roof composed mostly of translucent ETFE material that will allow for natural sunlight throughout the facility. The stadium, which also will be able to accommodate baseball, soccer and other sports events, will be able to expand to as many as 73,000 seats for the Super Bowl, NCAA Final Four or other major events. Construction is expected to begin in fall 2013, with an opening for the 2016 National Football League season. Another signature feature of the stadium will be four front doors at one end of the facility—each 95 feet tall and 50 feet wide—that will be able to open in good weather. The stadium will also feature two 120-foot-by-50-foot video boards at each end of the field. “This is going to be unlike anything that’s ever been seen,” said Michele Kelm-Helgen, chairwoman of the Minnesota Sports Facility Authority. 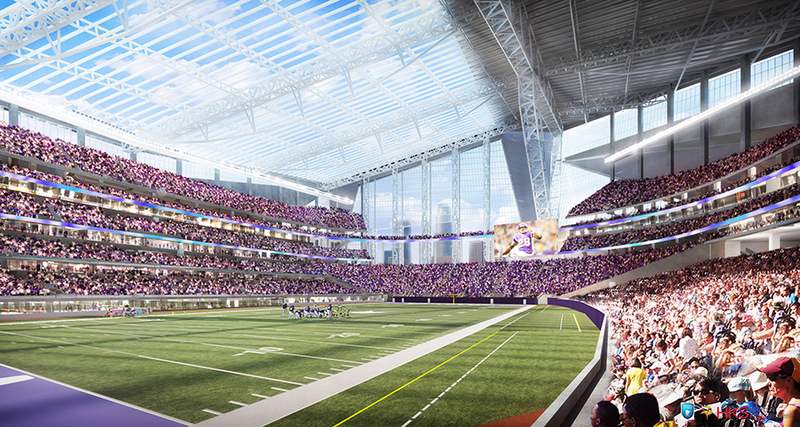 The new stadium will replace the Hubert H. Humphrey Metrodome, which has housed the Vikings since 1982. The team will play two years outdoors at TCF Bank Stadium at the University of Minnesota while the new stadium is being built on the same ground as the Metrodome.